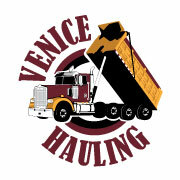 Free Quotes for Aggregate Delivery, Service, and More! You’ve heard the old saying; “Nothing is free”. Well, we couldn’t be more than happy to prove that old chestnut wrong. We offer you no hassle, no pressure, no hard sell, fast and free quotes for aggregates, aggregate delivery, site prep and clearing, dump truck services, tractor work, and more. Simply fill out this form and we will get back with you ASAP. If you would like use to give you a call, please enter your phone number here. Let use know what you need. Let us know approximately when you need our service. Give us a brief description of your project so we can better quote and provide assistance.